One of my favorite ways to reinforce the use of good search strategies to students is to show interesting pictures and have students try to make a long list of questions about what they see. Then I let the students try to find the answers to those questions. When they get stuck, I intervene to remind them of one of the search strategies that they have been taught. The other method that I use is to give students a bit of an image-based riddle to solve through the use of the search strategies that they have learned. Outlines of both types of challenges are included below. (Feel free to use the images, just give me credit for them). 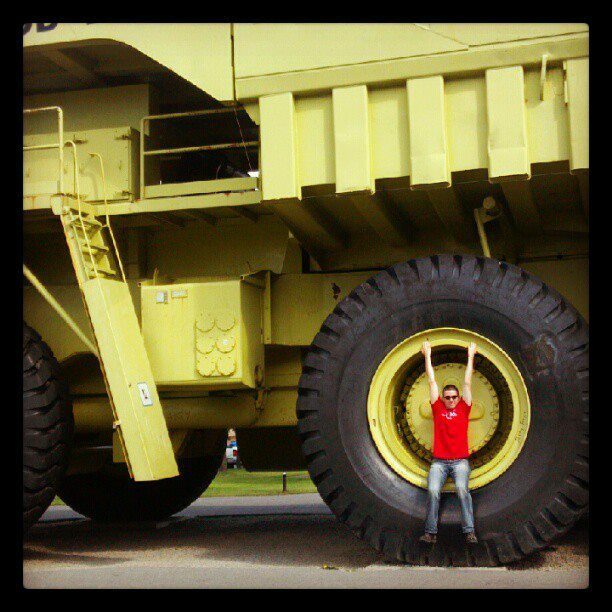 Challenge #1 – The Big Truck! I like to use this one with elementary school and middle school students. I display the following picture in the front of the room then ask students to ask any questions that they have about it. A lot of students will ask things like, “is that real,” “how big is it,” and “can I drive it?” All of those questions above can be answered by using various search strategies and tools. Using the “similar images search” in Google Images will help you answer these questions. Google Maps Street View will help you answer the questions too. And while not essential to answering the questions, refining your search to a specific top-level domain could help too. Challenge #2 – The Camel! This is a challenge for middle school, high school, and college students. It involves a bit of geography, geology, and folklore. Step 1: Take a look at the following pictures. 2. Find the camel in the second picture. (Hint: it’s the outline of a camel you’re looking for, not an actual camel). 3. The search challenge is to find out which mythological person rode that camel. 4. Identify the connections between the camel and the shoe. 5. Explain how the camel in the picture was actually formed. 1. The camel is outlined in the picture below. 2. Students need to think about mythology beyond the usual Greek mythology that they tend to default to. The picture should give students a clue or two that this “camel” isn’t in a typical environment for a myth or folklore involving a camel. They should rule out stories that center on a camel in a desert environment. Eliminating those stories will narrow the list of possibilities. 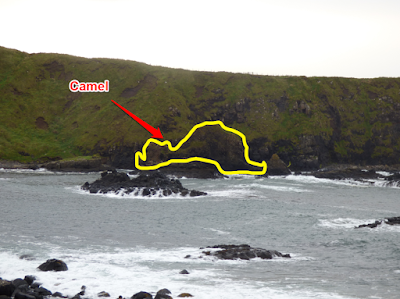 The camel is actually at the Giant’s Causeway in Northern Ireland. 3. Once students figure out where the camel is located, they should be able to discover that the camel is part of the story of Finn McCool (also written as Fionn MacCoul or Fionn mac Cumhaill). 4. 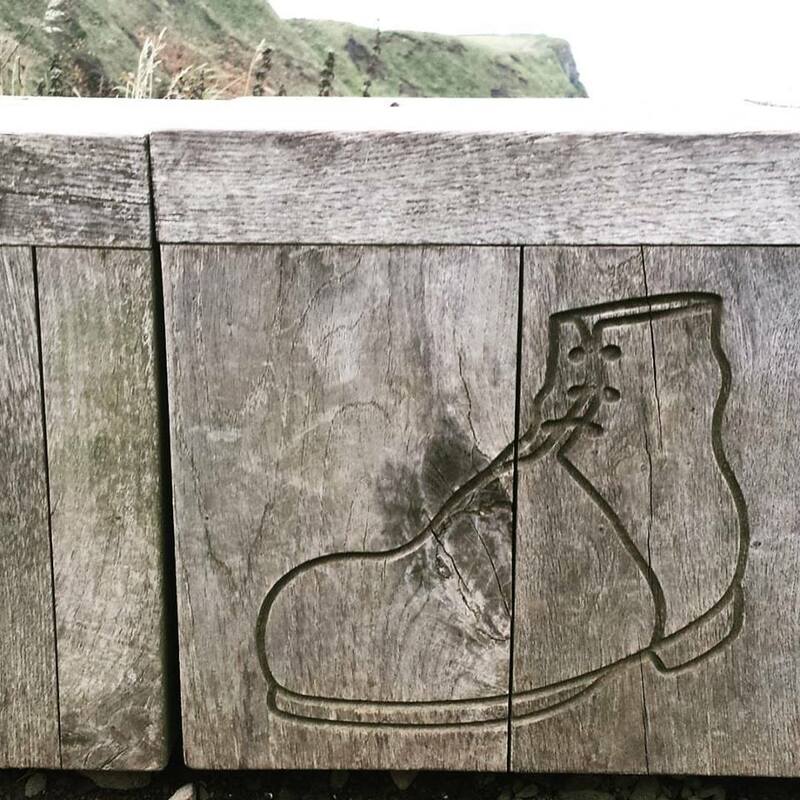 The shoe is representative of Finn McCool’s shoe that, according to the folklore, he lost while fleeing from the wrath of Scottish giant, Benandonner. 5. 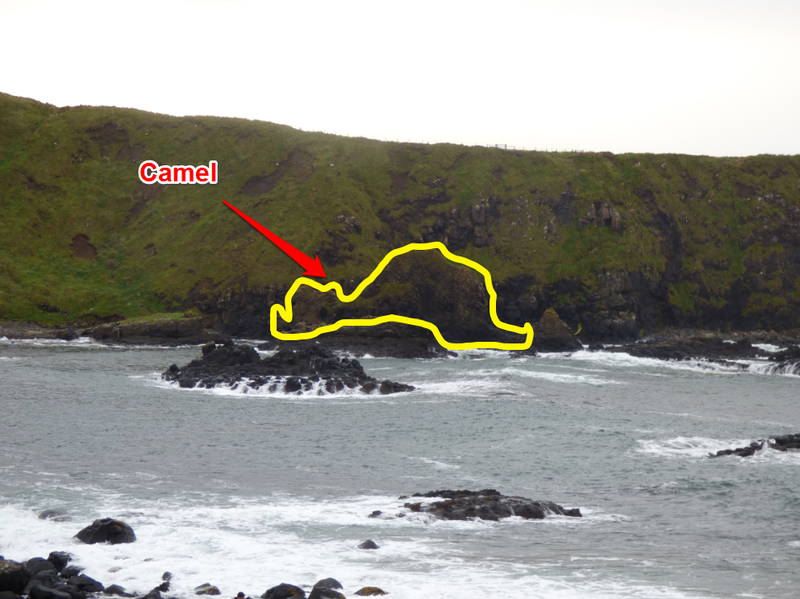 The camel is actually a basaltic dyke.